It's official, I ran away and joined The Circus. The DWD Circus to be more precise. We had a our first photo shoot yesterday afternoon. The theme was Backstage Birdcage...I kid you not. The 'Stache was in full-effect. Pics to follow! In prep for the circus I've been honing my hoop-dance skillz. I wish I could put into words what it's like to 'get' a move! All I can say for sure is that I now know what sheer brilliance feels like. Oh My! I'm completely addicted. 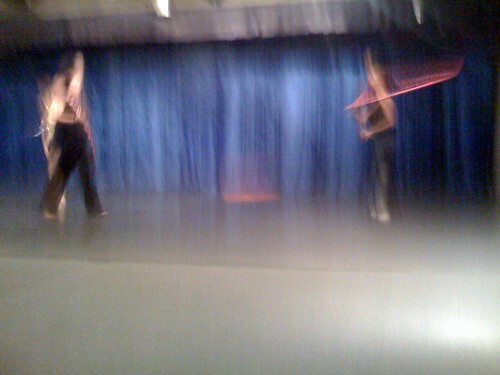 HUGE thanks to Special Ops, my favorite FIRE hoop-dancing goddess! If it wasn't for all of your love, support and encouragement I'd still be just hooping around my waist. Yawn-city! OH MY....LORELEI WILL WANT TO LEARN ALONG WITH YOU...YOU SHOULD SEE HER HOOP. That's it...we're having a hoop-off!